How to convert an email into a to do? 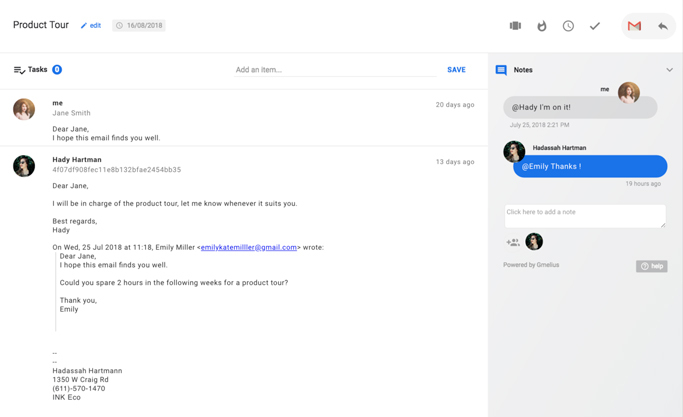 Gmelius offers two ways to convert an email into a to do or a task. 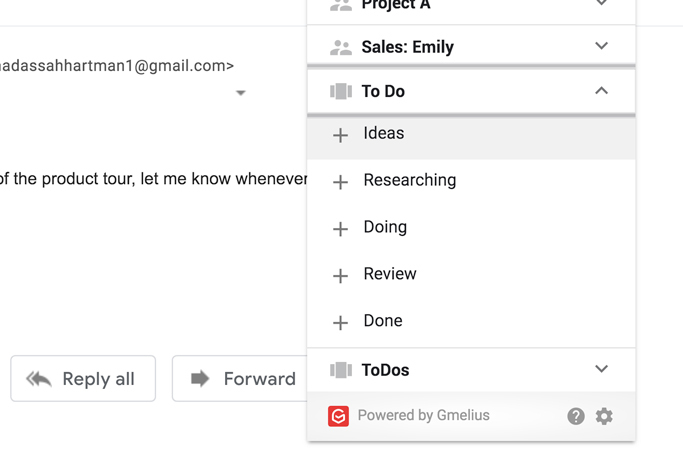 You can either create a task directly from the list view of your inbox by clicking on the calendar icon. 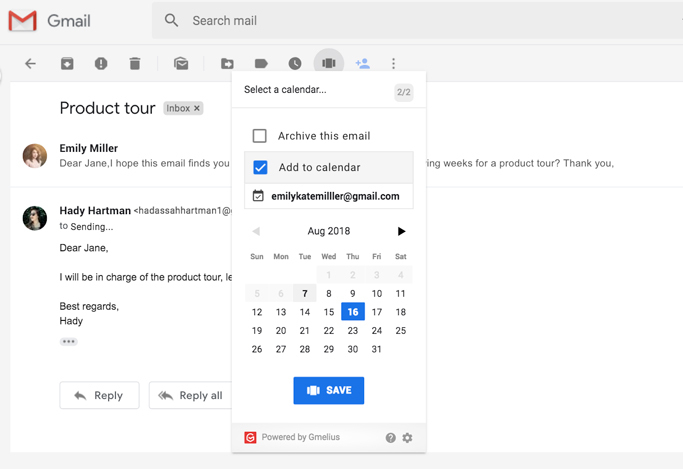 From your inbox or from your email, click on the calendar icon. 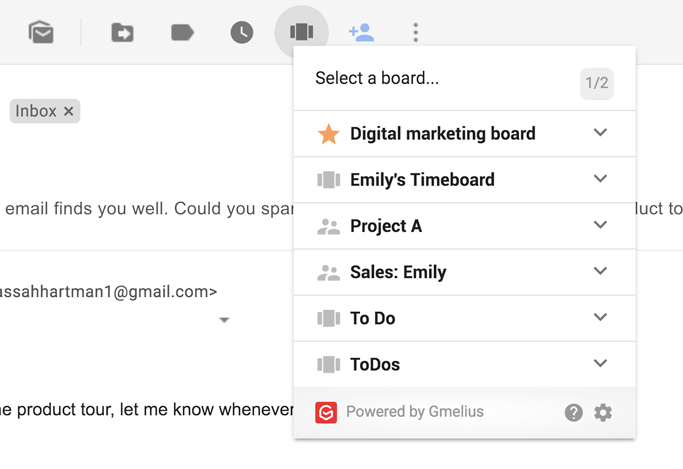 Go to your boards, you can see your email converted into a task. How can I access my Kanban Boards?